The results are now available here from Saturday’s track and field meeting at Sutton-in-Ashfield. With a threadbare team we finished 5th on the day. The sprinters were in great form with Nicholas Pryce winning the 100m and 200m A races and Luke Fleming winning the 200m B race and finshing 2nd in the 400m B race. In the ladies sprints Charmaine Riley and Kanisha Hector won the A and B races in both the 100m’s and 200m’s (see the videos of the 100m on our Flickr page to see how well they ran). 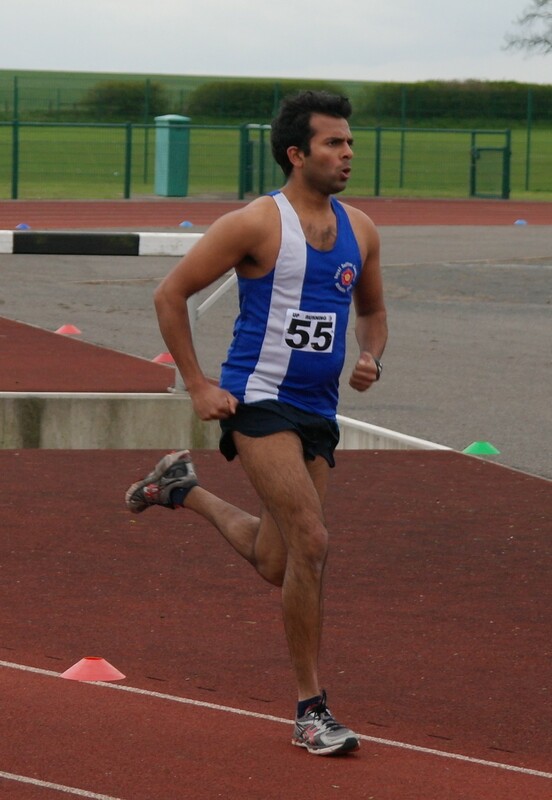 The club also had victories in both the 800m races (Fred Tremblay and Nick Corker) and the 5000m (Nick Corker). Megan Stratford, Vikram Balachandar and Simon Corker also competed well in the middle distance events, earning valuable points for the club. In the field events Megan Evans finished second in the high jump, and third in the triple jump and long jump. She also showed her credentials as a pentathlete by doing the javelin, 400m and 800m! Fiona Smith competed in all the throwing events, with the highlight being a second place in the hammer. The day ended well with a second place in the women’s 4x100m relay and a win in the men’s 4x400m, where Nicholas Pryce had a flying last lap to overhaul Burton AC. The next fixture is at Wyndley on 27 May. Please try and be available on this day to compete, help out or support the team.